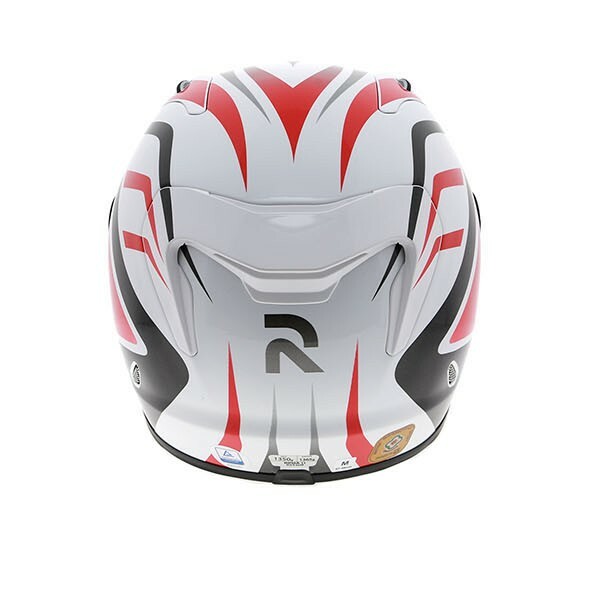 A good quality helmet, excellent fit, light in weight and great colour scheme. 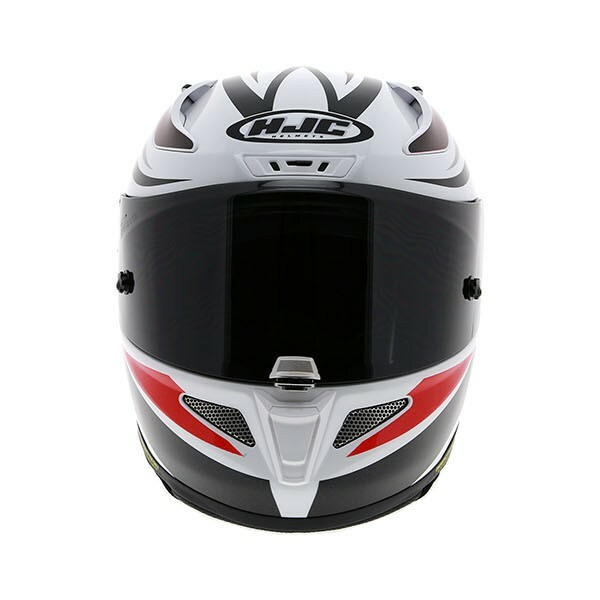 This is my first HJC helmet, I have bought. Very fast delivery. 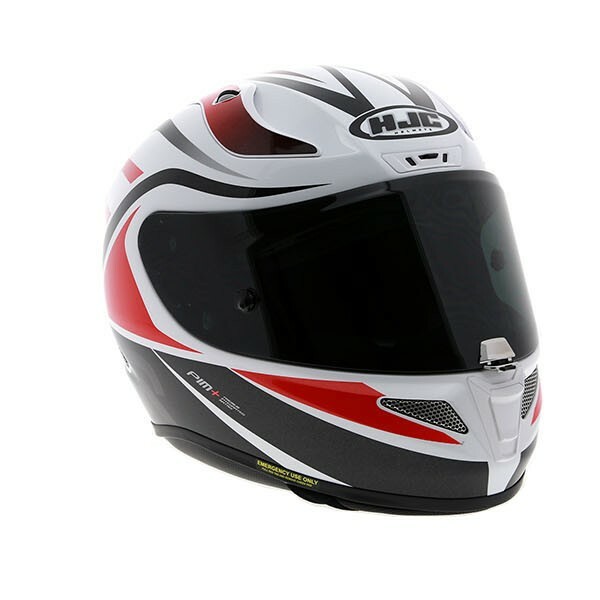 HJC are now comparable with the likes of Arai but with large savings to be made. Excellent quality, comfort and style. Was looking at the HJC for a while and wanted this model because of the fit and style. I am very impressed with fit, comfort and quality of this helmet. Was nice surprise to have both dark tinted and clear visor included. Been using now for couple of weeks out on my Ducati and defiantly a good buy. Excellent product, just as expected. Very quick delivery to Portugal. 5 stars service! The helmet is light (one of the reasons to buy it), very good quality and nice finished...and beautiful (for me, of course). Not the best choice if you want a silent one but, there are any silent helmet? I have a Shoei and a Schubert and I do not feel real diference.. One very important remark: my head is a 59cm. I asked for XL size and it fits very well! So, one size above your mesure is essential. And the price was a nice shot! 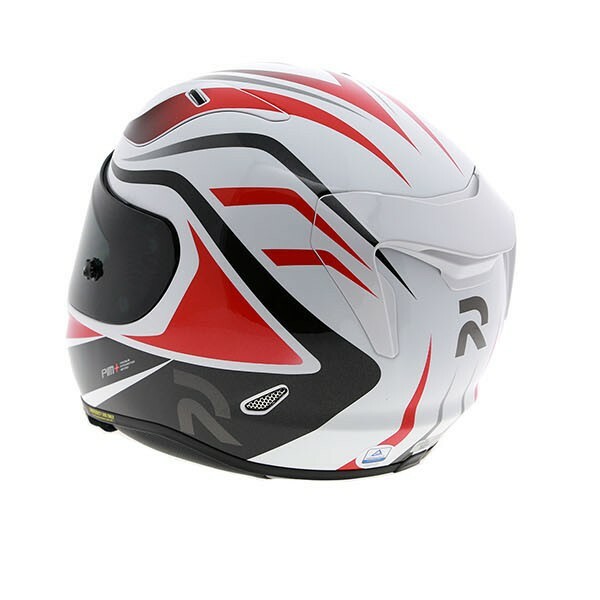 A good quality helmet, excellent fit, light in weight and great colour scheme. This is my second HJC helmet, I have bought and the improvement is noticeable. Silent, comfortable and does really well at high speed. Just changed from using a Nolan. I've wanted the RPHA series helmet for a little while after finding out how light they are. 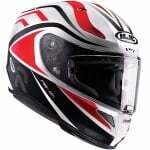 Very good quality helmet and has a premium feel. Comes with a smoke visor and pin lock which I could not live without. Got mine at a reduced price so even happier. The only down side is that it is slightly noisy however I always wear plugs so does not really cause me much issue but I did expect better. Having used nothing but Shark helmets for the last 18 years I wasn't sure about switching to HJC but glad I did. The build quality and comfort are great and it is definitely quieter than my previous helmets. The size guide was pretty much spot on for me too. Comes with a an additional smoked visor and their version of a pin lock. Plus the service from Sportsbikeshop has been first rate. After owning an Arai Okada helmet for 20 years I decided it was time to buy a new one. I read the good review about this helmet in MCN. When it arrived I was really happy with the design and how light if was. Before my first ride out with it I took the chin draught guard off because I'm not a lover. On my first ride I noticed how noisy the wind was. I already suffer from tinnitus and when I got back from my short ride out 30 miles my ears were ringing even more than normal. After ringing SBS and talking to Ray he said that type of helmet is a racing helmet for the track. This wasn't mentioned in the review by MCN. Ray also said the next time I go out to replace the chin guard and close all the air vents to see if its any quieter. Well I did and it made no difference at all. I love the look, fit and quality of the helmet, and it even comes with a tinted visor but as for the wind noise I'm very disappointed with that. Don't know whether to put it on eBay and maybe purchase another type. Just to add that my old Arai is 20 years old but it's a lot quieter than this new one by a mile. I forgot to mention that I do wear good ear plugs and I'm going to try and make some type of ear pads out of some foam that I can slip up the cheek pads at the side of my ears just to see if it could make the wind noise a bit quieter. The HJC RAPHA-11 helmet is constructed with Premium Integrated Matrix Plus (PIM Plus) which comprises a mix of various materials including carbon fibre, carbon and hybrid fibreglass. The resultant shell is aerodynamically shaped for extreme performance at high speeds. The RAPHA 11 features improved and aerodynamically superior ventilation with both front intakes and rear extractors plus side vents to help prevent fogging. The anti-odour treated Multicool anti-bacterial and anti-perspiration crown and cheek pads are removable for washing. The lining also features grooves for glasses. The visor gives an excellent field of vision and features the RapidFire Visor Replacement System allowing the visor to be removed and replaced easily without the need for any tools. Included in the box are a Pinlock ready clear HJ-26 anti scratch, anti-UV visor with a Pinlock Max Vision insert, and a light smoke 2D visor ready for Pinlock tear offs (not included). The whole package is held securely in place by the proven double-D ring retention system. Is this helmet prepared for an intercom, i.e. spaces for speakers? Yes, these helmets do have space for speakers. Hi, is the Dark Visor included with this helmet? All helmets are supplied with a clear visor as standard but this can be purchased separately.